Thanks to many advances in science and cosmetic dentistry, numerous options are available to restore patients’ smiles and oral health. At 32 Dental, serving GA patients from Marietta, Kennesaw, and surrounding communities, we provide long-lasting or permanent solutions to tooth loss. Dental implants, crowns, and bridges may be used in various combinations to recreate strong, functional, and durable replacement teeth that look and feel like natural teeth. Dental implants actually replace the roots of teeth and they are anchored securely into the jawbone. As the titanium post fuses to the bone, the implant provides a solid foundation for surrounding teeth that remain and retain the natural look of the facial muscles around the mouth. After the jawbone grows around the post, an artificial tooth is attached to the implant. Crowns are prosthetic teeth in the form of a cap. They may be used as a cover oddly shaped or damaged teeth or as a solution for tooth loss, when combined with a dental implant. Made of porcelain, crowns feel and look like natural teeth and are aesthetically matched to the patient’s other teeth. Bridges are a couple or a series of crowns that fill the gaps caused by tooth loss. 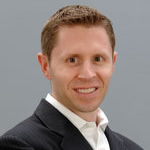 They may be attached to healthy teeth surrounding the gap or to dental implants. If you are considering a more permanent alternative to dentures, Dr. Lan Vo at 32 Dental has the experience and advanced training to recreate your perfect smile. 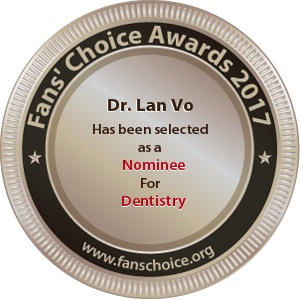 After attaining her Doctor of Medical Dentistry (DMD) at Temple University’s School of Dentistry in 2003, Dr. Vo has continued specialized training and education, graduating from the Mercer Mastery Program and completing a yearlong program at New York University in dental implants. 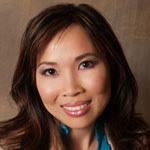 Dr. Vo is certified by the American Academy of Facial Esthetics and is highly skilled in transforming patients’ smiles. To explore new options to traditional dentures, contact our friendly and knowledgeable staff at 32 Dental at 770-423-1132 today. Our office is located in Kennesaw, GA, at 600 Chastain Road.